When we talk about the founding of MTC, the staff member who has been here since "the beginning", is Jan.
Before the merger of Town & Country and Memorial Animal Clinics, Jan worked with Dr. Benson and Dr. Saxe at their clinic on West Bough, beginning in 1984. When the clinics came together to form Memorial Town & Country, Jan worked behind the scenes as a kennel/veterinary assistant. 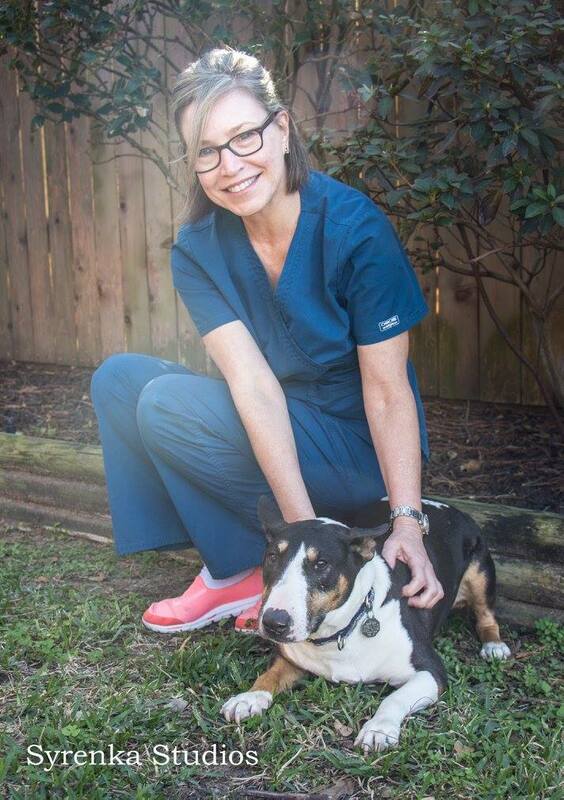 Pursuing her love of animals, Jan has followed the ever changing field of veterinary medicine. Progressing from a teenager assisting in the kennel, to an experienced veterinary technician, to the front desk, Jan has acquired more skills and knowledge than almost any staff member can imagine. Her hobbies include art, plants, reading, and movies. But mostly she just prefers spending time with her pets, which include 2 kitties; "Beetlejuice" and "Toodels", and a bull terrier "Lucy", who is in charge of the reception area if Jan should step away. In March of 1988, Becky joined the MTC gang. With the exception of Jan and Drs. Saxe and Brasher, the faces have changed many times over. Becky has enjoyed seeing the new faces, as well as our many long-time clients while running the front desk with her pals "Sunny" and "Dewey". Although when Becky joined the staff, Memorial Town & Country Animal Clinic had been in existence for over 2 years, every thing was still new, and many kinks and needs for organization were still there. 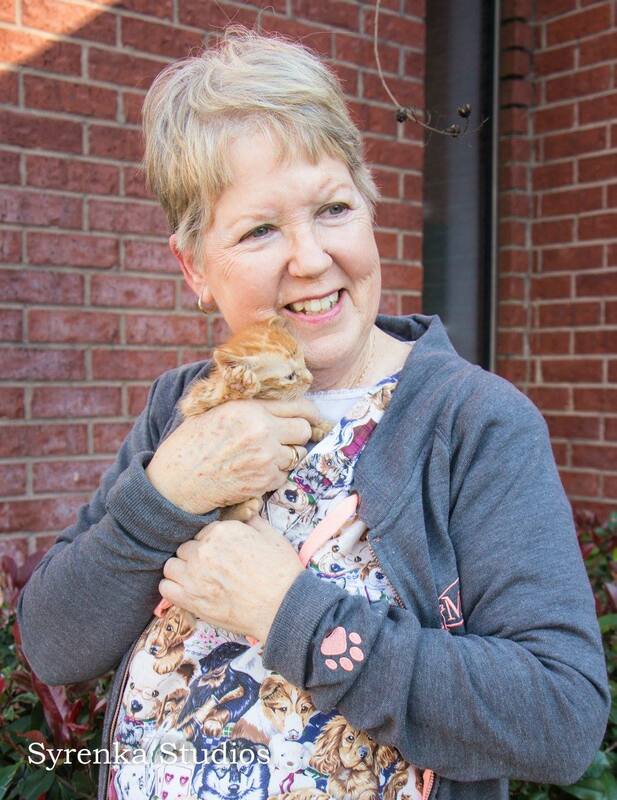 While constantly meeting new faces...human and furry, Becky was enjoying the feeling of family and caring that has kept MTC at the top for so many years. One of the greatest rewards of the close family at MTC, is being able to take pride in the care given to our patients by the doctors here, as well as the personal relationship formed with the gang we work with. All of the staff at MTC enjoys the daily relationship with our clients. Their trust in us is a big responsibility and we do our best to earn that trust. It is most rewarding, Becky says, to greet and be acknowledged daily by so many wonderful clients who feel exactly as we do, that "OUR PETS ARE PART OF OUR FAMILY"!! Becky is officially retired now, as of November 2018. Her contribution to this clinic has been invaluable over the years, a HUGE amount of the success of MTC is due to her. Her presence will be greatly missed! Lee is our newest member. She is originally from Houston, but had lived in Canada for the past 35 years, working at a veterinary clinic in Ottowa. She is a perfect addition to our team! Starlyn began to work with the MTC Gang in June of 2000. She works as a part-time receptionist, and has been a great source of help to Becky and Jan. 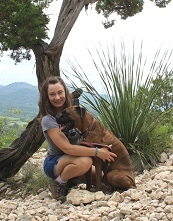 Although new to the animal clinic business, Starlyn has worked with people for many years, and is a great animal lover, having 6 cats in her pet family. Starlyn was born in Indiana, and moved to Houston in 1984. Her interests include dancing, reading, sewing, and, of course, anything to do with animals. She not only works at another job & MTC, she volunteers at the animal shelter regularly. Everyone in the MTC Gang could tell a few funny stories about things that have happened while working here! Starlyn's favorite was the time one of our clients came in from the parking lot to report that our clinic cat "Benny" was sitting in the back seat of her car visiting with her brother and her dog! When we went out to see, he was sitting on the seat next to the dog like it was a cool thing to do. The Gang and the clients have enjoyed Starlyn's kind nature, and welcomes her help at MTC.